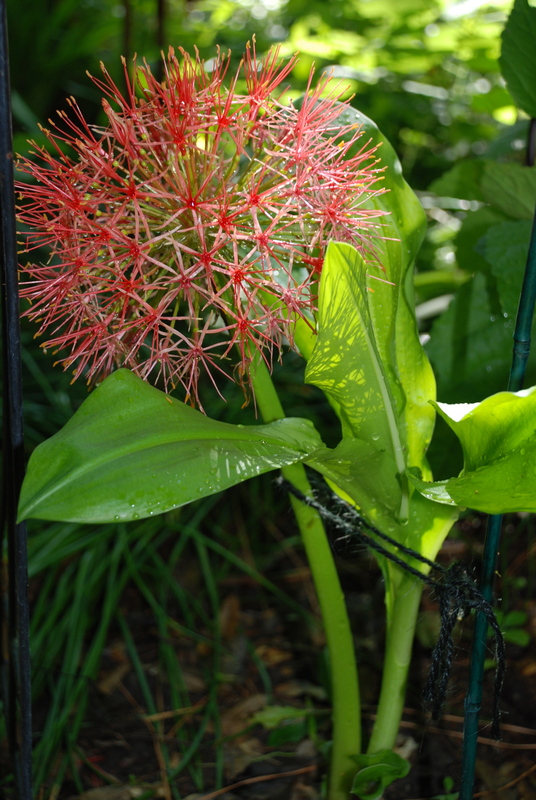 Scadoxus multiflorus is a beautiful and fascinating bulb. It was planted two years ago and this is first time it has bloomed in the Automatic Garden. The seller said to plant it and never touch it again, as it was very poisonous. Well, that sparks the imagination. It turns out that this gorgeous flowering bulb has many common names and many of them carry a warning. 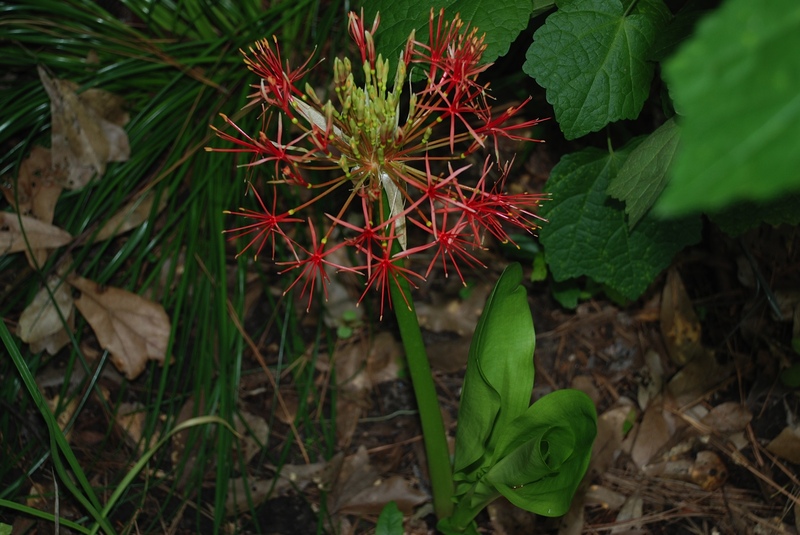 Here are a few: Blood Lily, Poison Root, Bloodflower Plant, Fireball Lily, Torch Lily, Bushman’s Poison Bulb, African Blood Lily. Those names will make one want to stay away. 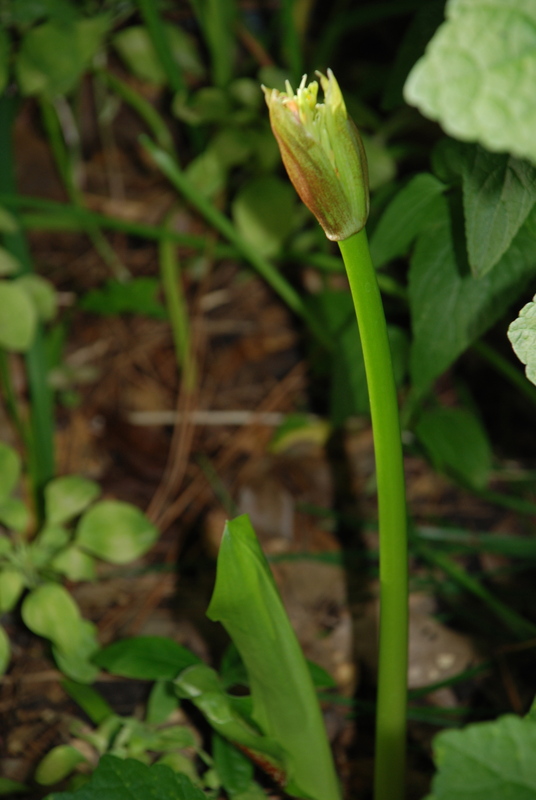 There are also a few names that are not too scary: Football Lily, Powderpuff Lily, Paintbrush Lily. 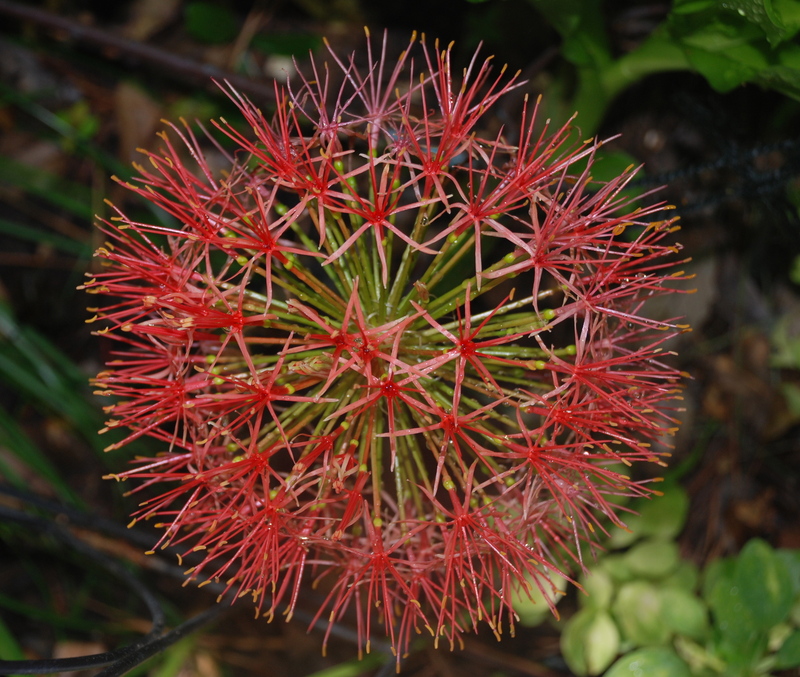 None the less, this fabulous plant has up to 200 star-like flowers that form a globe bigger than a softball. Starting with its opening bud, it lasts several weeks. And the best part for the Automatic Garden is that it produces more bulbs! Can’t wait until next year! I think I need one of these! 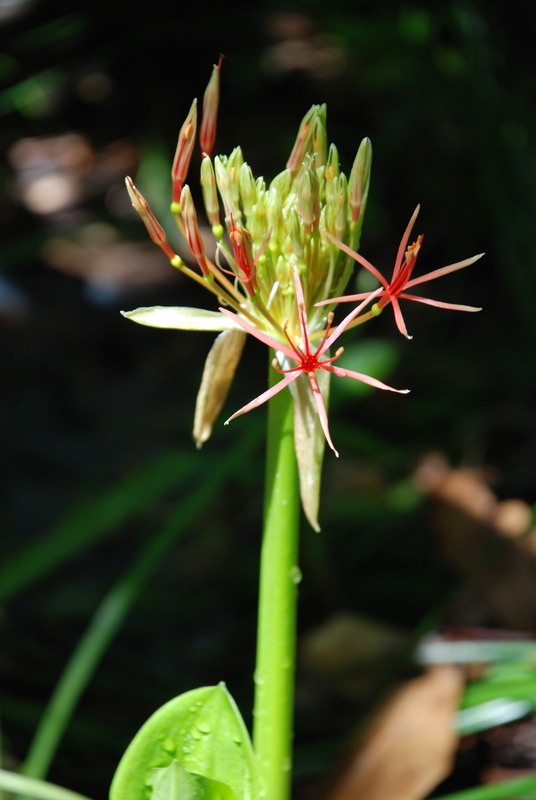 Thought it was a Lycoris, beautiful. They are really great bulbs that will grow here. I have done nothing to it, very easy to grow.